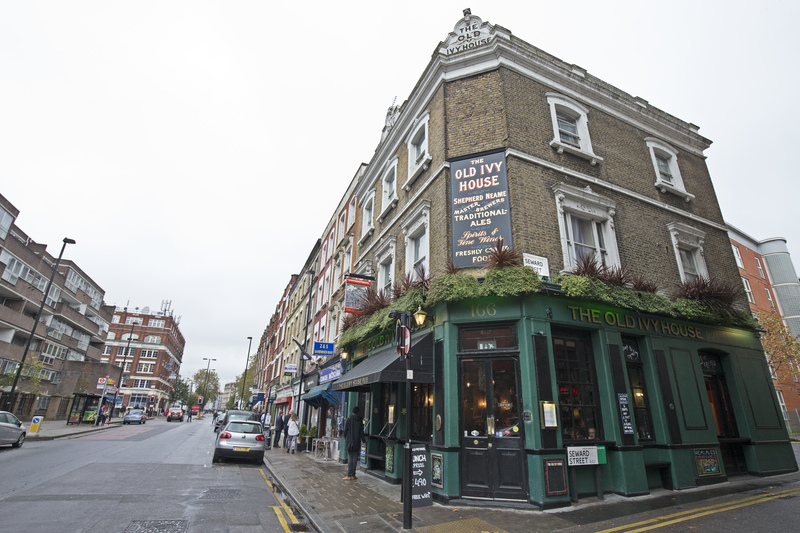 The Old Ivy House pub in Clerkenwell, North London, is just a short walk from several tube and train stations. It’s also handy for visitors to the Barbican Arts Centre, Sadler's Wells Theatre, Angel Islington, City University and Smithfield meat market. Nearest National Rail stations Old Street (0.5 miles), Farringdon (0.5 miles). Nearest Underground Stations Barbican (0.4 miles), Farringdon (0.5 miles), Angel (0.5 miles).